SHORT WALK to private deeded rights to Long Pond, full recreation lake for swimming, boating, ice skating, fishing -- even ice boating years ago, because it is a LONG pond. With some distant and slim waterviews, this large lot will have a strip of land out to Long Pond Shores Drive and a very short walk to the deeded pond access pictured above. Wooded with beech, oak, pine and holly trees, in an area with many year round homes. 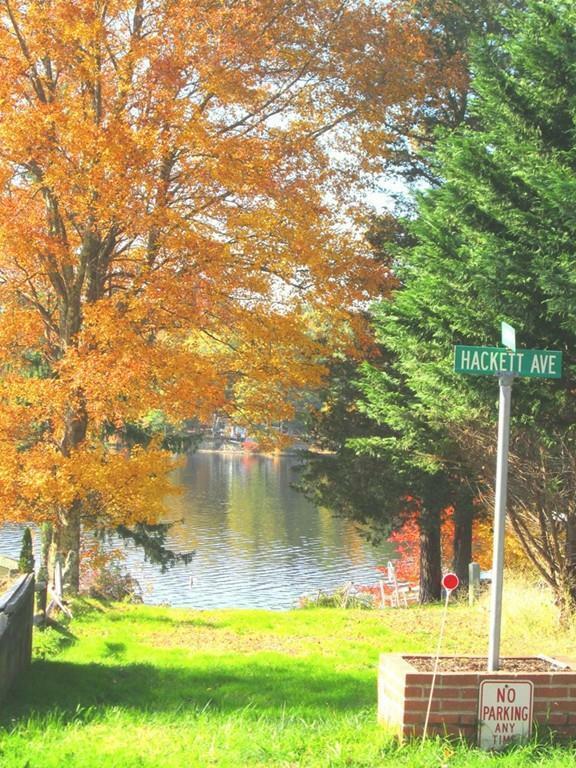 This is the sunset side of Long Pond, and the neighborhoods on this side of the pond have a long family history of properties passing within families and among acquaintances. So DON'T MISS THIS OPPORTUNITY. Perc tests show higher water table, so fill will be required, increasing the waterview possibilities.